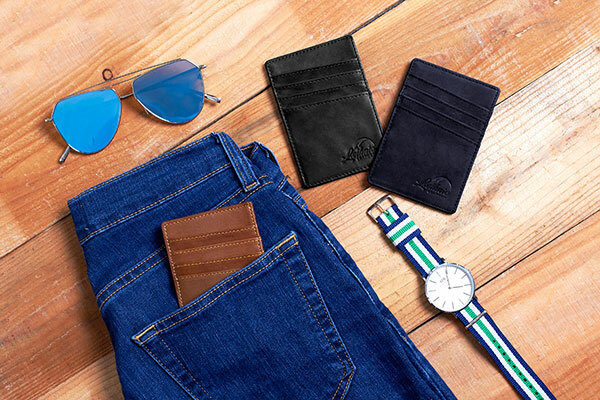 A wallet is one of the most essential and practical accessories that every man should have. It helps you to store and organize all of your cards and cash. Not just that, a high quality leather wallet, especially when it comes with your initials, is a signature of your status and your style. A classic leather wallet will also be able to stay timelessly trendy and fashionable. Therefore, it is a definitely a must have item, not just in term of functional uses but also in term of trends and fashion. It is not easy at all to buy a leather wallet. There are thousands of products that you can find on the market that will surely make you feel overwhelmed. They are different in styles and designs. Also the quality of the leather and the skills of the craftsmanship are not the things that you can easily identify from the good and the bad. 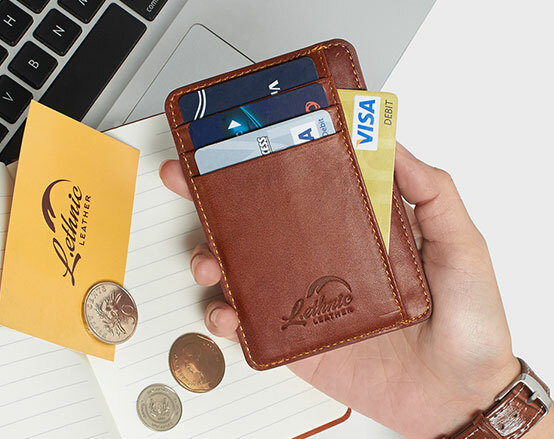 Take a look at the article below and I will guide you through all of the things that you should consider when buying a leather wallet- its types, functions and features. Also at the end of the article, there will be more tips on how to use and care for your leather wallet. WHY SHOULD YOU HAVE A LEATHER WALLET? When looking for wallets of all styles and designs on the market, you will see that different wallets are made from different materials such as leather, nylon and canvas. The choices for you are limitless, you night wonder why you should opt for a leather wallet, right? You might choose different clothes to wear every day. However, you don’t change your wallet much option. In fact, a man typically has a wallet that he uses every day until it wears out. Hence, it is important to choose a wallet that lasts as long as possible. And the most durable material you can have on the market is leather. Leather material is tough. It is waterproof. It stands well against heat and humidity. In addition, it flexible, allowing you to store a lot of cards and cash without deforming. It will also stays in shape well when you jam the wallet into your purse or trousers’ pocket. The main purpose of a wallet is to help you carry your IDs, cards and cash. 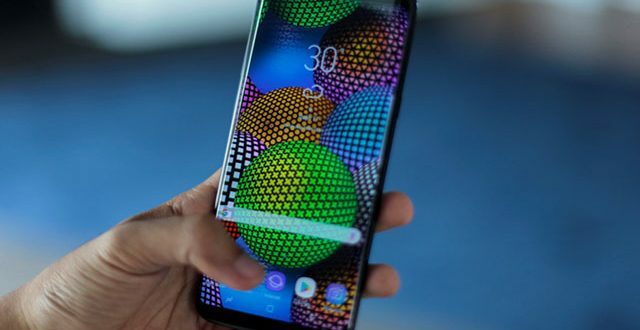 Therefore, the capability of a wallet is the next big thing you need to consider. When 2 wallets with different materials- canvas and leather and of the same sizes are compared, a leather wallet can hold more items, which makes it more practical. If you tend to carry a lot of your valuable credit cards, cards and cash with you, you will find out that a leather wallet is a more suitable choice for you. When your wallet is made of real leather, you will realize that it is super easy to care for it. You don’t have to worry about the impact of rain or heat on your wallet. In addition, it is very easy to clean the wallet as well. Furthermore, a leather wallet is always soft and smooth when you touch it. Last but not least, a leather wallet is what you need to consider when you aim to find a stylish wallet to make it an essential accessorize for your style. Among all types of materials, leather is considered to be more formal and classy. It is therefore, a true fashion statement. It is worth mentioning that leather also lasts for a long time and looks nice even when it is worn out. So you can say that a leather wallet is what you should invest if you want an accessory that remains stylish and trendy regardless of time. There are several types of leather wallet for you to choose from. They are different in styles and designs, which will help you to store your IDs, cards and cash in different ways. There is no type of leather wallet which is better than the other. The choices of which type of leather wallet to buy depend on your needs and preferences. 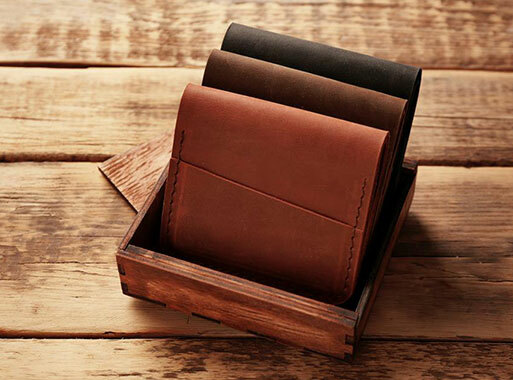 This is one of the most popular leather wallets that you can find on the market. It allows you to store big banknotes without folding them. You can also store the cards in both of the horizontal and vertical ways. The wallet is folded in half and tends to be quite flat. Some of them come with pocket for coins. Instead of folding into half, this type of leather wallet is folded into thirds. There are 2 sides which overlap each other. You need to store your card vertically. While a tri-fold leather wallet has more slots for your cards, it is also bulkier and heavier. 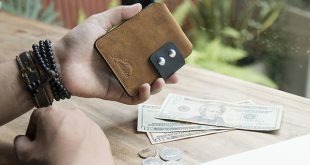 A tri-fold leather wallet might have a coin pocket or not. It is worth noting that women and children’s wallet often have pockets with zippers. Men, on the other hand, should avoid choosing a wallet with zippers at all cost. As you can tell from its name, a leather travel wallet is used when you go travelling. You can put a lot of important documents into this wallet including your passport, your hotel booking paper and a lot of foreign currencies, to name just a few. This wallet has a zip closure or press-stud closing system for as much secure as possible. 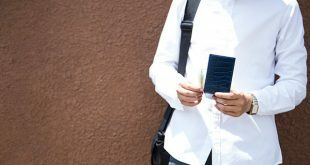 A high quality travel wallet would also come with the RFID technology to prevent your wallet from being stolen effectively. This type of leather wallet is also known as breast leather wallet or secretary leather wallet. 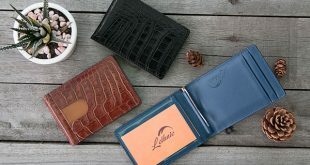 Unlike other wallets which you put into your trousers’ pocket, you put this type of wallet into the long breast pocket of your jacket or handbag. It often comes with zip or press stud closure as well as a lot of credit card slots and a coin pocket. It is bigger than other types of leather pockets and you can even store a checkbook inside the leather wallet. 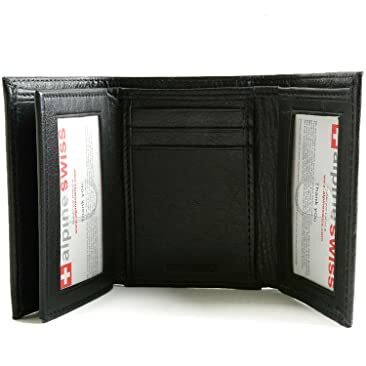 It is suitable if you need a wallet for a lot of banknotes, changes, credit cards and of course, checkbook. 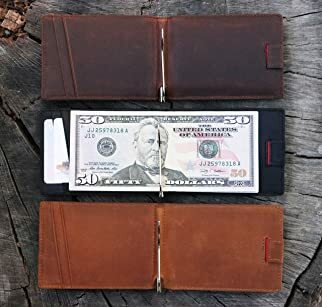 In case you need a super slim wallet that fits into your front pocket, this type of leather wallet should be the one that you are looking for. It has a few credit card slots to make it as slim as possible. There is no coin pocket. It is suitable for you to carry a few credit cards and some banknotes only. WHAT TO CONSIDER WHEN BUYING A LEATHER WALLET? Of course for a leather wallet, the most important thing that you need to consider is the leather material itself. In case of real leather, there are 3 types of leather, which is top grain leather, full grain leather and split grain leather. The first type of leather – the top grain leather, is made by sanding a piece of leather fabric and then coating it in resin. The part of the hide which is used is the top part. This will help to get rid of any imperfection on the surface of the fabric and make it looked polished. However, it brings flimsy look and a plastic feel. It is also thinner than and less as durable as the full grain leather. This is the most popular type of leather which is used to make leather wallet. Hence, you can pick up a wide range of products made from this type with a very affordable price. Another type of leather is the full grain leather. This type of leather is not processed; hence, you would be able to see pores and creases on the surface of the leather. This is more natural and also makes the piece of wallet which is made from full grain leather to last longer. 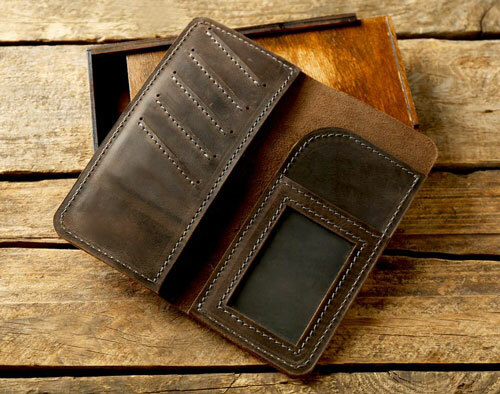 Not to mention that no other wallet can overcome the classiness that a full grain leather look brings. It is the most expensive type of leather, though. In addition, it needs more care and maintenance. You need to use special conditioning cream to polish this type of leather occasionally. The last type of leather is the split gain leather. It is the bit that is taken from the underside of the hide when the hide is split. It is the least expensive type of leather. A common form of split grain leather is suede leather. It doesn’t have a nice pattern on the surface as you can see from the full grain leather. It is not as durable and breathable as well. However, many people still favor this type of material is because it looks styles, offers many choices of colors and cheap. 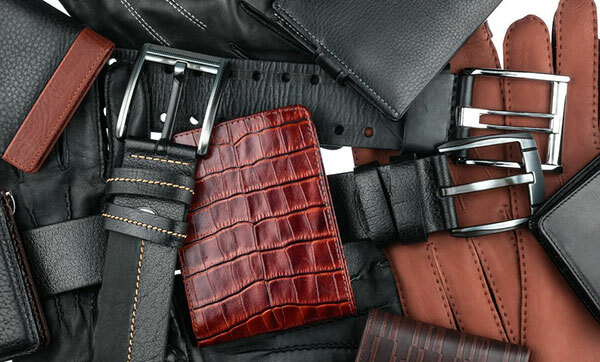 A thing worth noting is that you can have many choices of the animal’s leather as well – including the cow leather and the alligator skin. The cow leather has been mentioned above. For alligator skin, this type of leather comes with unique pattern, excellent craftsmanship and of course, a much more premium price than the ordinary cow leather. Just like the types of leather material, there are 2 main types of constructions of which are Turned edge and Cut Edge. With the turned edge construction, the edge of the wallet is quite thin. It is turned before being stitched. On the other hand, the cut edge construction means that the edge of the leather wallet is cut and then stitched before being coated in black resin. Turned edge is a good choice if you want a wallet that looks nice and lasts for a long time. the only problem with this kind of construction is that it will be more expensive. The craftsmanship that put into the wallet can be shown in many areas. First, you need to check the stitching lines. When a leather wallet is done nicely, the stitching will be positioned centrally. On the other hand, poor craftsmanship shows in crooked stitching lines. Another thing that you need to pay attention to is the turnover. A well made wallet would have a turnover which is narrow while a badly made leather wallet will have a wider turnover. Make sure when you run your fingertips on the edge, there is no lip as well. Last but not least, you need to check the corners of the leather wallet that you are going to buy. Look for the one with round stitched corners and avoid one with right angled corners. Creasing from hot iron is also a sign of excellent and high quality craftsmanship. The color of your wallet determines pretty much everything about the versatility of the wallet. If you need a wallet for all of the occasions and to pair with all of your current clothing, you should opt for the classic black or brown. Avoid colorful patterns as simplicity is the best. Different people will have different needs and requirements when choosing a leather wallet. A wallet might suit your friend’s taste, but not yours. There are a lot of things that you will need in a wallet such as its practicality, its ease of use, its durability or simply its style. You might consider one feature more important than the others. Hence, it is important to ask yourself a few questions to determine what you would need in a leather wallet. What you are going to use a leather wallet for? First of all, you need to think about what you are going to store in the leather wallet. If you only carry a few cards and notes, there is no need to buy a big leather wallet. On the other hand, if you carry many things- including your IDs, credit cards, banknotes and other important documents, you should opt for a bigger wallet with a lot of credit card slots. And if you want something to organize your changes, you should look for a wallet with a separate coin pocket. Also think about the occasions that you often bring the leather wallet. If you need a big wallet for travelling, there is a specific type of wallet for this occasion- which is the travel leather wallet. Or when you go to the pub, you don’t need a big wallet but just a small one for your IDs and a few changes. How will you carry the leather wallet? The next thing that you need to ask yourself is how you are going to carry the leather wallet. You can choose to carry your wallet in the handbag, your purse, your jacket breast pocket or your pant pocket. Knowing where you are going to carry the leather wallet will help you to narrow down the types of leather wallet that you are searching for. For example, if you want to carry your wallet in your handbag, you can choose a big type of wallet such as the travel leather wallet or the checkbook leather wallet. 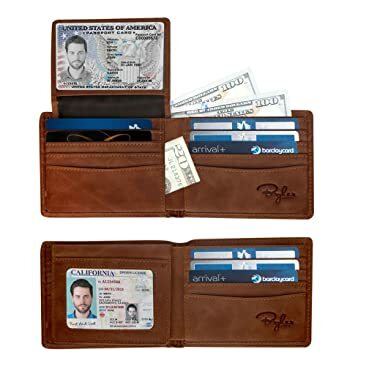 On the other hand, if you are looking for some types of wallet to put on your trousers, you should choose some slim-fit types such as the bi-fold or tri-fold leather wallet. In addition, how you are going to carry the leather wallet also determine the choice of types of leather. 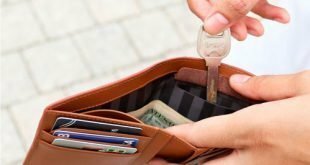 If you often put the leather wallet among other items such as keys in your bags, you would need a tougher type of materials such as full grain leather or top grain leather. How much money are you going to spend on this leather wallet? The last thing that you need to ask yourself is your budget- how much you are going to spend on this wallet. Keep in mind that in most of the cases, price is the good signal of the quality of the wallet that you are going to have. Overall, a more expensive leather wallet will last for a longer time. So in case you want to have a leather wallet that you can use for a really long time, you should consider invest in a huge sum of money for a high quality wallet. Still, a good quality leather wallet doesn’t need to be of high price, unless you are paying the premium prices for a designer brand. On the other hand, in case you want to change leather wallet often or just need a leather wallet for a few occasions, you don’t really have to spend much for a decent quality wallet. Some popular designer wallet brands that you can look for are Lethnic, Fossil, Kenneth Cole, Tommy Hilfiger, Nautica and Coach. These companies offer products for men and women with a wide range of styles and designs for you to choose from. The prices of these wallets are also affordable as they range from under 20 dollars to just around 50 dollars. If you have more than 50 dollars, even more than 100 dollars to spend on your wallet, you can consider Bellroy, Burberry or Salvatore Ferragamo. 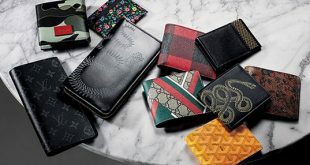 These wallets from these brands are of course of high quality, high fashion and a truly strong statement for your personal brand. 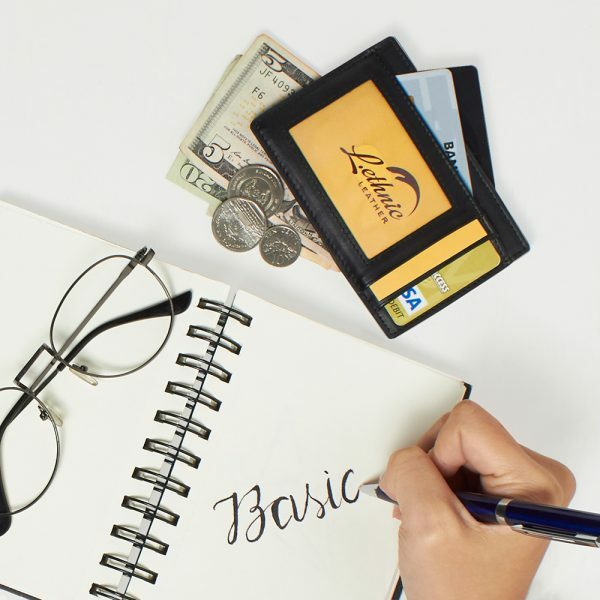 After you find the leather wallet that meet all of your needs and requirements, it is time to learn more about how to take care of your leather wallet so that it can last as long as possible. You should never wash your leather wallet with the washing machine. Washing it by hand is the only option you should follow. Clean a dirty leather wallet with a clean damp cloth. You should not use any mild or strong detergent on the sensitive leather. Remember to wash the wallet with cold or lukewarm water only. You can dab on a little bit of talcum powder to get rid of grease on your leather wallet. When your leather wallet gets wet, you shouldn’t dry it quickly by using heater or hair dryer. You need to let it dry naturally, preferably at the room temperature. Also don’t stretch the wallet when it is wet or it will never get back to its original form. Buy a leather dressing or cram and apply it onto the screen of the leather on a frequent basis. This will prevent the leather from getting too dry and supply it with enough moisture it needs to stay beautifully. Try to do it at least every 6 months or so. Otherwise, your wallet would become super dry and stiff. Last but not least, never wrap your leather wallet with plastic. Your wallet needs a lot of air ventilation to remain its look and quality. 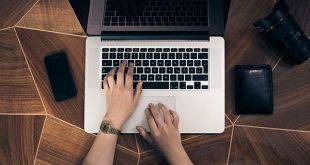 As you can see from the article, there are a lot of things that you need to consider if you want to pick up a high quality wallet. The look of the wallet doesn’t tell you much about the quality. There are many other things that you need to consider such as the leather, the construction, the craftsmanship as well as your needs. When you finally find the wallet that you like, it also takes you a lot of effort and energy in order to make the wallet last as long as possible. I hope that with all of the tips above, you would be able to choose the leather wallet that meets all of your needs and requirements. Maintaining and caring for it well and you will make your investment last a really long time.